6 Ways to Make Your Emails More Effective - Something New Everyday! Email has been around since the internet began but we’ve not quite managed to find a replacement for it. There are social media based solution and tools like Slack and Convo but none of them quite eliminate the need for an email address. Sending an effective email is an art in itself. The way you digitally interact with your colleagues and clients has a major impact and how you are perceived. Last year, employees sent over 112.5 billion business emails every day. The average email user is liable to send or receive about 122 work messages daily, according to statistics published by the Radicati Group, a market research firm for technology trends. With so many emails flying around, we thought it’d be prudent to discuss 6 ways you can make your emails more effective. You must have experienced this while receiving emails. The length of the email determines your decision to read the complete email and send a response. You want to respond to emails fast, and in order to do that, the sender needs to keep it short. Email scheduler Boomerang published a user email analysis, which highlighted that messages comprising 50 to 125 words are good for getting instant replies. Their response rates are a little higher than 50%. Keeping your emails restricted to three sentences or less helps a lot. Otherwise, why not have a conversation on the phone instead? According to the the Boomerang analysis, the emails sent when working hours start and after lunch time had the highest response rates. This is because people often check their messages immediately after arriving or returning to their work places after breaks. So if you have to send an urgent email, the best time to send it will be early in the morning. Protip: Don’t send emails past 5 or 6 p.m. If you must send them, schedule them for the mornings. People like it when you address them during working hours only. We are all tempted to immediately reply to every email, especially the urgent ones. It is advised to hold on to your replies and take your time to think over them. Sit on them, form your thoughts, connect the dots. And then, when you can communicate better with the whole idea fully formed in your mind, draft that email and send it. Even if its a work related conversation, we humans can’t help but express our emotions in any form. The same holds true for emails. Being expressive is good, if done correctly and moderately. If your email can contains words like “brilliant” or “bad”, they make your email more expressive while maintaining a professional touch. This essentially implies that you don’t over-do it with unnecessary praise, criticism or aggression. The idea is to compose your email with more interesting words that will serve the purpose of being moderately expressive. Whenever you press send on an important email, it almost always sticks in your mind until you get the reply from the other party(s). This aspect has considerable psychological effects that hampers your work productivity as well. This can cause mental stress as well if not handled properly. To circumvent such feelings, it is recommended to create a “Wait for” folder in your email inbox. Here you can park all your emails that are yet to be followed up by the other party. This way not only can you keep track of the important emails awaiting a response, but you can also de-clutter your main inbox. This will considerably help you focus on your work. Sometimes its important to recognize the time to get up from your chair and meet the recipient in person. Email isn’t the be all end all tool. It plays a support role at our work. Its not our work per se. So if you require an exhaustive discussion with your colleague, don’t start a chain of emails. The prudent thing is to go over to their work place and talk. Similarly, a phone call will also produce better results in some cases rather than multiple emails. So what do you think of these tips? 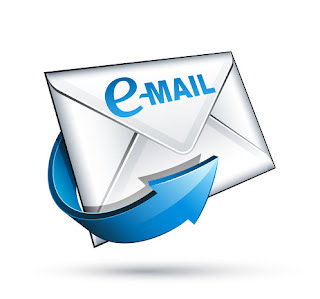 Any advice you can share with your fellow readers concerning email etiquette and tips? Let us know in the comments below.